Ever wonder how much free advice a priest might dispense over the course of 40 years? ‘Mystery’: It’s a word you tend to hear a lot on the Sunday after Pentecost – when Catholics celebrate the solemnity of the Most Holy Trinity. I’m always a little amazed when I meet a Cubs fan. These are dangerous days for the faithful. Liminal days…days spent on the threshold of Pentecost. Did you know that the country of Indonesia spans four time zones? I had no idea. No clue, really, until I met Susi G. – a friend my daughter made during their just-completed graduate studies at SIU-Edwardsville. 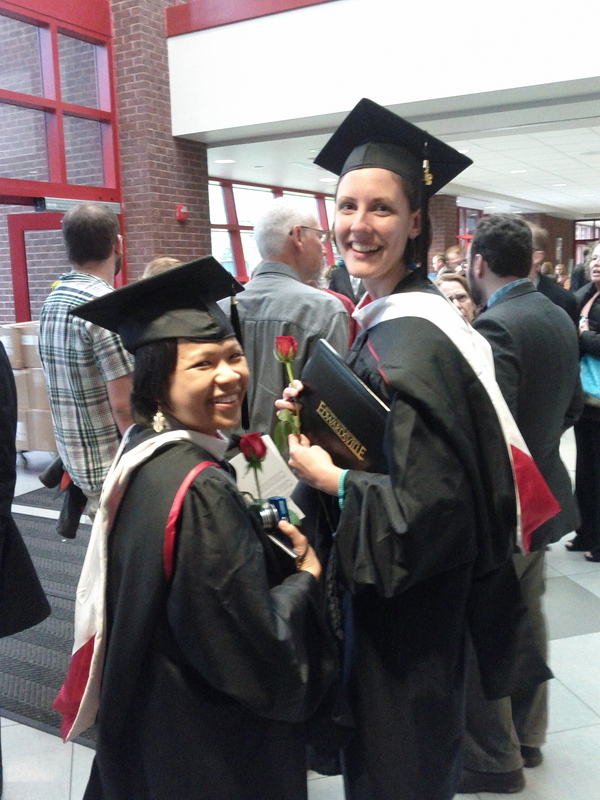 Susi & Ellen, sporting their Master’s hoods. Tom and Ray Magliozzi got scolded on the air by their mother yesterday. I stepped into an enormous puddle on the way to church early Friday morning. 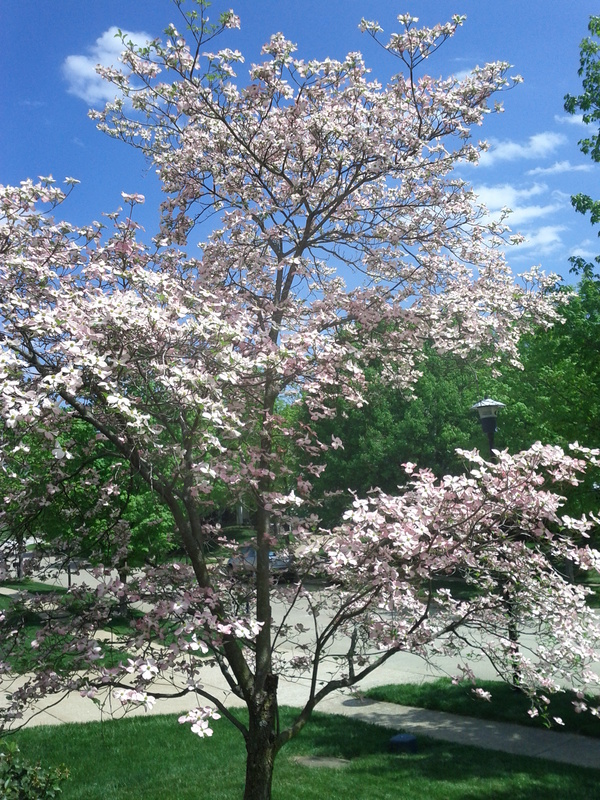 Our dogwoods are in full bloom this week. And that means different things, on different trees.